In the case of Yellowstone, without wolves, the population of elk ballooned, especially in the northern range. More importantly, without their natural predator around, the animals stopped acting the way elk normally do; rather than forming small, vigilant groups and foraging in less-open areas, they lounged around in the open in groups of several hundred, eating pretty much non-stop. These chill elk constantly chomped off the tops of willow trees, which as a result seldom topped heights of about 1.5 feet. Growth of new aspen and cottonwood trees almost completely disappeared. Tree roots help hold together the banks of streams, and those in the northern range began to erode, resulting in widening in some cases and deep channels in others. These changes in turn affected soil and subsurface moisture and the composition of surrounding plant and animal communities. Then in 1995 and 1996, a total of 31 wolves were reintroduced into Yellowstone. 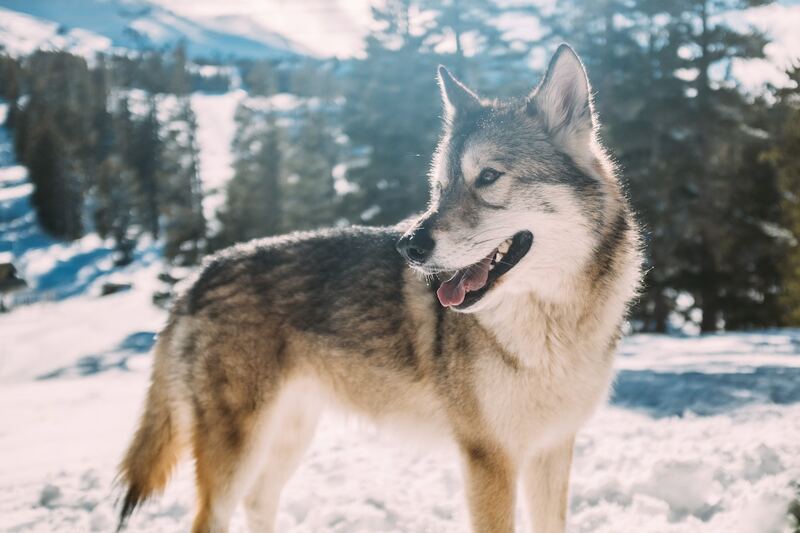 The population in the northern range increased by roughly 10 wolves per year, reaching a peak of about 100 wolves in 2004, then declining to around 40 in 2017. The park-wide population peaked at 171 in 2007, declining to an estimated 108 in 2016. In the two decades following wolf reintroduction, 22 published studies found an increase in number and size of woody plant species along northern range streams. A recent study confirms that the return of wolves and other large carnivores deserves credit for the improved health of aquatic and riparian, or shore, ecosystems in the area. For the study, scientists compared vegetation and stream conditions in the same locations along Blacktail Deer Creek in 2004 and again in 2017, said lead author Robert Beschta of Oregon State University. Many willows along the creek had grown at least 6.5 feet tall and tree canopy cover over the stream, essentially absent in 1995, had increased to 43 and 93 percent along its west and east forks, respectively. The benefits of increased vegetation ripple throughout the ecosystem. Young trees in particular create habitat for songbirds. Larger willow trees attract beaver and beaver ponds support fish, reptiles, amphibians, and other small mammals. “But,” he added “I firmly think the changes in plant community and stream channels involve both alteration of behavior of elk and a long-term decrease of the population.” Factors other than wolves played significant roles in that long-term decrease, including climate change, other predators, and disease. Yellowstone National Park’s 2.2 million acres, while large, represent only a tiny fraction of public land in the west. And while plant communities have also improved in other parks where wolves returned, such as Banff and Jasper National Parks in Canada, on most public land, these large carnivores are virtually unprotected (and often absent). In addition, the effects of long-term climate change could make sustained recovery an uphill battle. “Warmer temperatures, less precipitation, and less snow are long-term trends we’ll be dealing with,” Beschta said. Still, wolves have contributed to recovery of the creek’s plant communities and stream channels. From that perspective at least, having these apex predators around looks like a howling success.